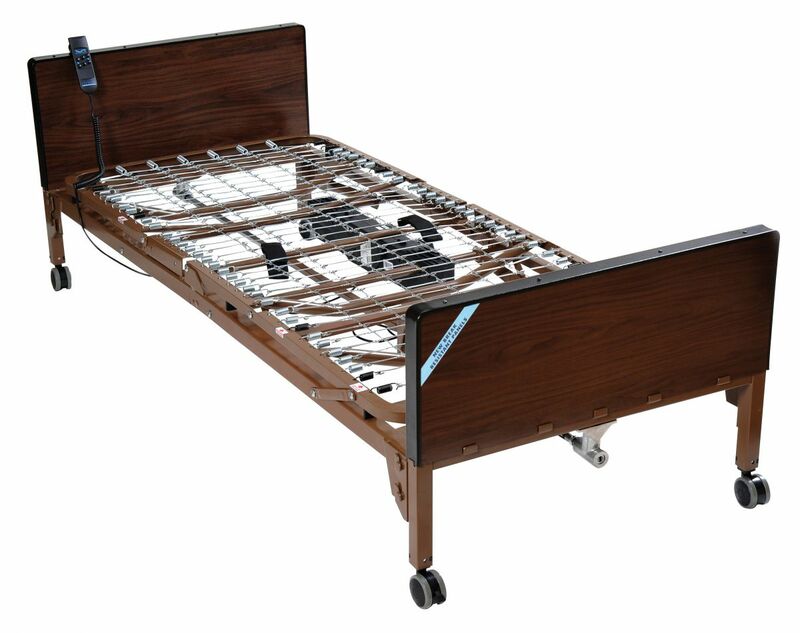 The Delta 1000 is truly universal because the bed frame can be used with Drive's and most other manufacturers’ bed ends, old and new. The transition box mounted on the foot section is key to interchangeability. The transition box allows you to change the rotation of the high/low shaft. Headboard is taller than footboard to better fit home decor. The wood grain panels are break and scratch resistant. Extension kit available (model #15030EXTKIT) extends length from 80" to 84"